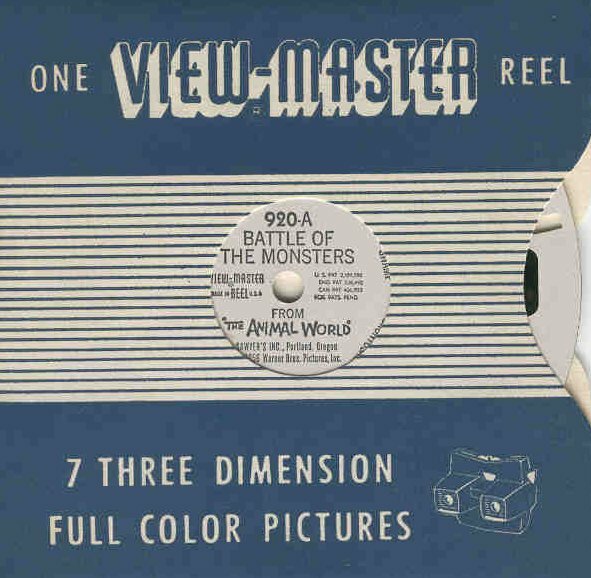 Wonderful vintage View Master packet from Sawyers 1956. 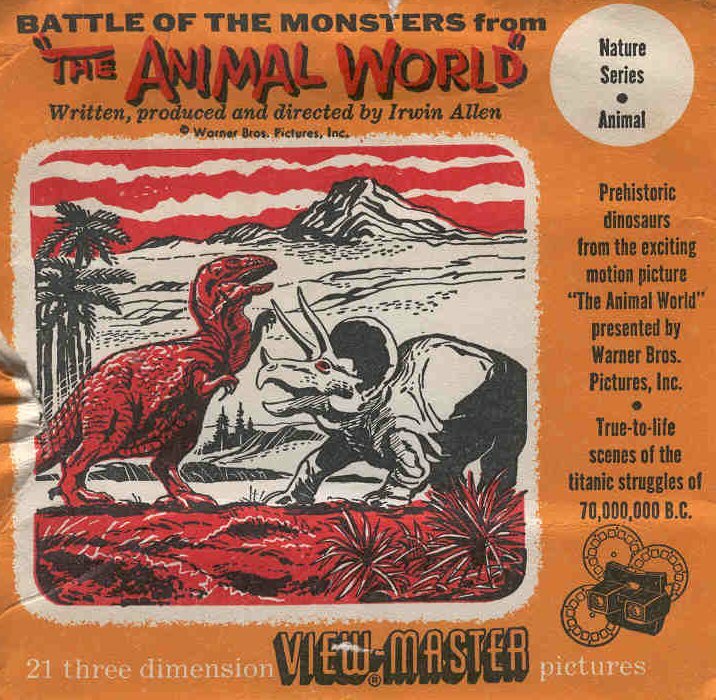 Irwin Allen's Animal World. 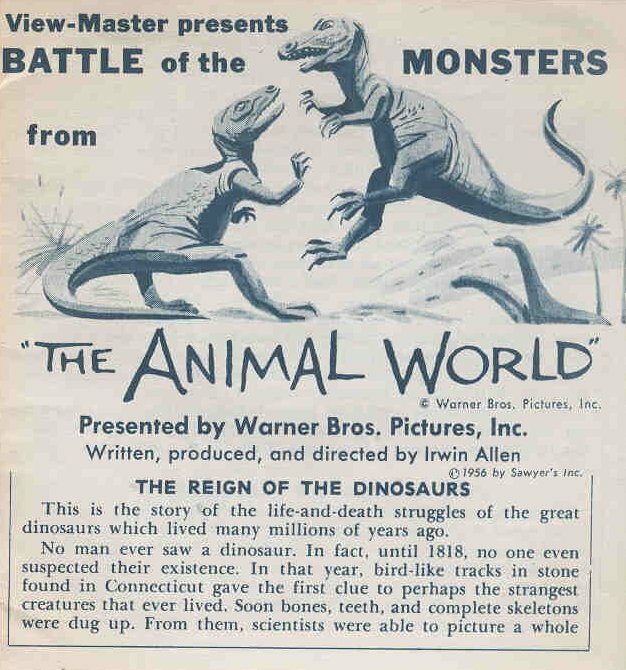 This dinosaur set is complete and intact with all 3 reels, the booklet and envelope included.